jTribe has submitted a new iPhone app to the AppStore. 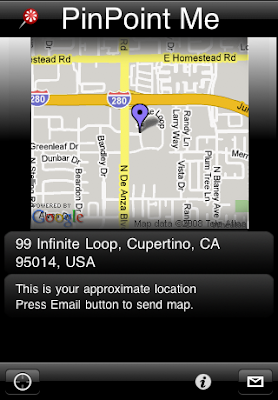 "PinPoint Me" is part of the firepin application family. 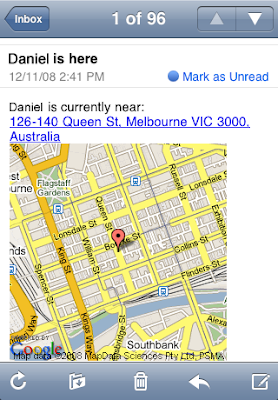 This little helper application sends a Google Map Image as an email attachment. 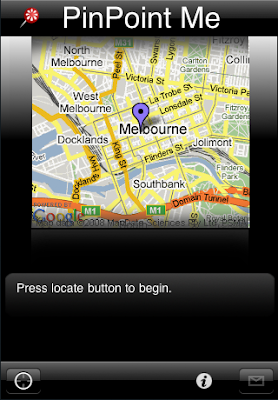 Based on user feedback we re-designed the app to offer a larger map and still offer the simple "two-button" approach. Enough talk. Here are the screen shots. If you like it please stay tuned and we will announce here once Apple has approved PinPoint Me for sales in the AppStore. It doesn't send the email, it just hangs forever. What's the problem?